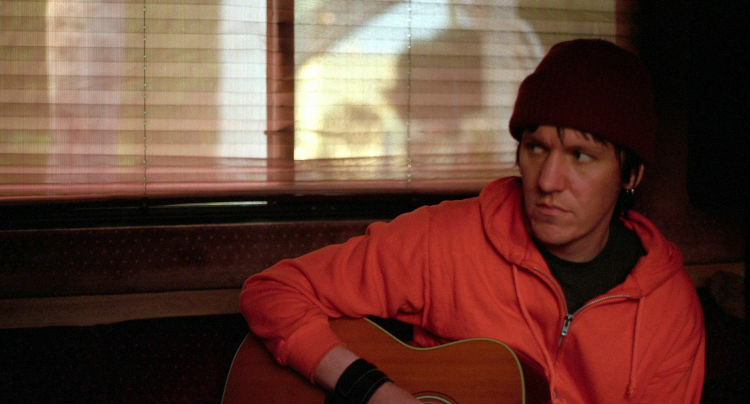 A tasteful, haunting portrait of the life and music of late Portland icon Elliott Smith, Heaven Adores You by Nickolas Rossi also serves as a sigh of relief for Smith’s fans. The introverted musician died of mysterious stab wounds, much like another beloved songwriter from the Pacific Northwest, Kurt Cobain. Many feared that any film made about Elliott would miss the point and devote all its energy to his unexplained death. Rossi, however, focuses the film squarely on Elliott’s music, using archival interviews and photographs, and personal accounts from Elliott’s friends and family to uncover their true beauty. The film will uncover new layers of Elliot’s music for longtime fans, and newcomers will find a fascinating introduction to the work of the soft-spoken prodigy. 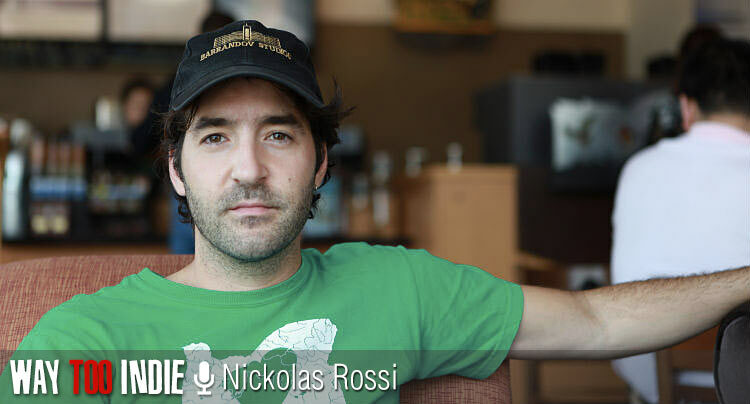 Rossi spoke with us the day after the film’s world premiere at the 57th annual San Francisco International Film Festival about the 20-year history of the film, how he hears Elliott’s music differently after speaking to his loved ones, why Portland is so photogenic, how and why songs were chosen for the film, and more. This film is a long time coming, from what I understand. Nickolas: Definitely. 20 years ago, I got on a train from Chicago and went to Seattle, a place I’d never been. Through Seattle, I found Portland. I was a young kid, turning 21, and I was able to go out to bars and see this entire scene of music happening. That led to discovering Elliott Smith’s solo music. I was really impacted and had never heard stuff like that before. It spoke to me. That was my Portland experience. When I listen to Elliott Smith’s music, it’s definitely a Portland, mid ’90s thing. Eventually, Elliott left Portland, I left Portland, and he kind of fell off my radar. But his music always felt like a little piece of home. Years later, I moved to L.A. to learn cinematography and editing, and I heard that Elliot had died. It was this moment of losing a hometown hero or close friend. I didn’t know that anyone knew who he was. You thought he was just a local Portland guy. Nickolas: Yeah. I didn’t realize he had this global following. I lived not too far from the Solutions wall where the makeshift memorial was happening, so I went down there to shoot footage because I felt a connection to this guy. It was like having a friend die, this moment of wanting to be there, capture it, and make something beautiful of it. I made this simple tribute video to do something in honor of someone who impacted me. Two years later, Youtube came along. I put it up there thinking it would showcase my budding cinematography skills, and it was really well-received. I got comments from people all over the world–South Africa, Brazil, Japan, Australia–thanking me for making the video. I realized that this guy had this global following, this incredible influence. I thought it was great. A few years later, I was contacted by this gentleman from the east coast who saw the video and was thinking about doing an Elliott Smith movie. We talked about the project for years, since 2007, but where do you start? Neither of us lived in Portland. The response from fans was incredible, but there was probably a lot of skepticism. What kind of Elliott Smith movie is this going to be? Is it going to be a sensationalized, tabloid movie or is it going to honor him as a major contributor to the music world? From the beginning, it was obvious that the whole focus of the film would be the music. The music is most important. You and I know about Elliott Smith because of his music, not because of where he lived. We started shooting in Portland, and it felt like people were ready to talk about Elliott. It had been ten years since his death. Talk about choosing which songs to use and where in the film to use them. Nickolas: There are a lot of Elliott Smith songs and they’re all really amazing. Some of it was balancing what the fans had heard and liked and stuff they’d never heard. We thought, if we’re going to talk about the music, we should give the fans music that hadn’t been heard yet or drafts of songs that he had written when he was younger that became songs that we all know now. There was a version of “King’s Crossing” that he did in high school that eventually became the song we love. We wanted to approach the music chronologically and emotionally as well. Some of it is sort of literal, like when we use the song “L.A.” when he moves to L.A.. Some of the songs were my personal favorites as well. Nickolas: Interviewing Elliott’s sister Ashley was a big deal, and it required a lot of trust on her side. I’m incredibly grateful that she opened up to us. She’s an incredible person. It gave the project so much more to have Elliott’s sister talk about their childhood. Having Joanna [Bolme] was a big one. I don’t think the’s talked to people before about him. The story about them going to the Oscars…those are really sweet moments. We couldn’t have done the project without Larry Crane. To have Tony Lash talk about Heatmiser was important. A lot of people don’t realize that there was this whole band thing happening before “Miss Misery” and the Good Will Hunting soundtrack. A lot of people discover him from that soundtrack. They don’t realize that he was a punk rocker. The interviewees go in-depth about Elliott’s music, like when they talk about the misconception that he’s always singing as himself. He plays characters sometimes, which is something I guess I never thought about. Did speaking with these people change the way you listen to his music? Nickolas: Totally. When I discovered Elliott’s music, he was singing about things that I related to. He sings about universal things–love, happiness, anger, sadness–and if you listen to his music, it feels like he’s singing about you. I remember listening to “Roman Candle” when I got dumped by a girl in my twenties. “I want to hurt him.” That’s what I’m thinking about! I just got dumped, and now she’s going out with someone else. But the way I listened to his music changed once I realized that he wasn’t always writing autobiographical songs. He was writing about things he saw. …and they have no idea! It’s a pretty film. Very cinematic. Talk about getting all of the footage around Portland to match with Elliot’s music. Nickolas: Portland is a beautiful city. Incredible to photograph. I have a lot of memories in that place that represent things, and over the course of the 20 years that I was going back there, I sort of changed. In an alternate universe in Portland there’s a 20-year-old Nickolas, a 25-year-old me, a 35-year-old me. Some of the images are literally where Elliot lived, like the house where he lived with Sean Croghan. In Portland, you can just point and shoot and it will look great. It’s a beautiful part of the country. 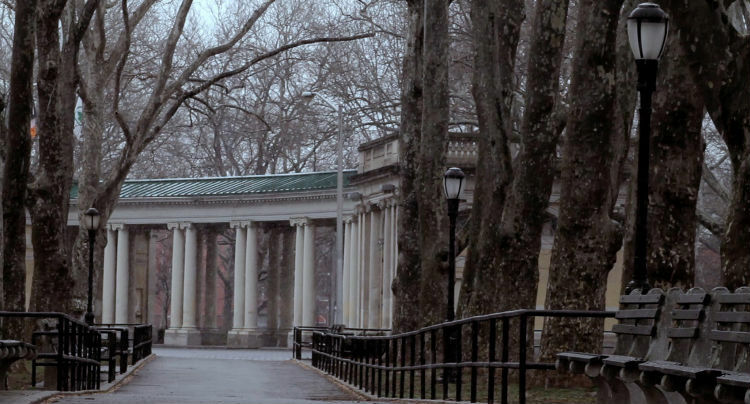 As a cinematographer, I approach every place I go to in that way, where I get sucked in emotionally. We wanted to shoot Portland with no one in it, no people. Empty. We wanted it to feel like a ghost town. We did these aerial shots to make it seem like Elliott could have been there, but you don’t see him there. His words and music dictate the direction of the film. Did you ever feel like you were collaborating with him in a way? 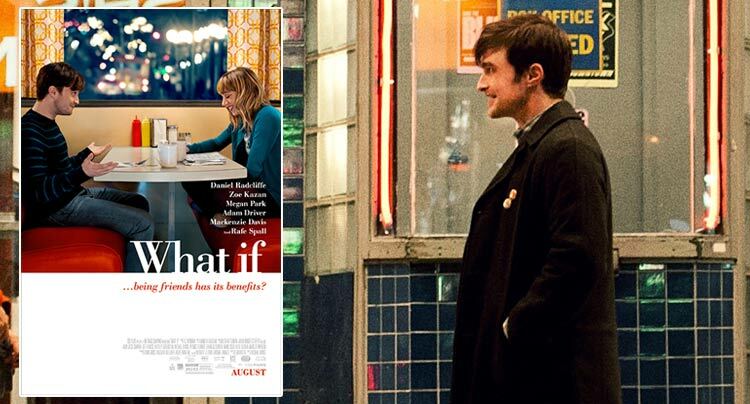 Photos and Poster From Daniel Radcliffe & Zoe Kazan Film 'What If"